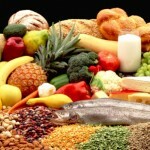 Health tips for healthy living using a Mediterranean diet. Many health professionals these days seem to agree that in this modern society for people to be able to enjoy healthy living an essential element is for them to adopt a sensible eating plan. The diets of people throughout the world have come under the microscope and one that seems to have greater ‘health’ benefits over others is the Mediterranean diet. This highly nutritious healthy diet incorporates all the fundamentals of healthy eating that is enjoyed by people living in countries throughout the Mediterranean Sea who enjoy meals, cooked in the traditional style using olive oil, accompanied with a glass or two of red wine! Over many years research has shown that these people enjoy a healthy living because of their traditional time tested diet which reduces their risk to heart disease, which is the scourge of this modern day obese society. Research has uncovered facts that a Mediterranean diet was connected with a reduced risk of death from cardiovascular disease, and similar reductions in incidences of cancer and cancer mortality. In addition it was noted that people who lived there were less likely to suffer from other terrible diseases such as Parkinson’s and Alzheimer’s. A cornerstone of the diet is that the people over there eat whole foods rather than the processed varieties. When you eat whole foods, you are getting the food intact in its natural state, with all of the vitamins, minerals, and other nutrients that are in the food and as a result enjoy proper nutrition. Medical organizations throughout the world have as a result concluded that for people to avoid chronic diseases, such as those mentioned above, they should adopt the Mediterranean diet to enjoy a healthy living. 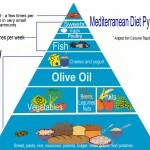 What are the key components of a Mediterranean diet? • Eating a high proportion of the diet made up of plant-based foods, such as fruits and vegetables, nuts, legumes and whole grains. • Minimum consumption of red meat. • Drinking red wine in moderation. • Exercises to increase fitness levels. Enjoying meals in the company of family and friends is also regarded as being important. Why is this diet supposed to be more healthy and nutritious compared with others? (a) Fruits, vegetables, nuts and grains together with pasta and rice are traditionally included in the Mediterranean diet, the healthy benefits being the high antioxidant levels that exist particularly in the fruit and vegetables and the low levels of bad cholesterol contained in the diet. High levels of “bad” cholesterol caused through eating foods rich in saturated or trans fats has been associated with heart disease caused through clogging of the arteries in the human body. (b) Nuts are also included in the nutritious Mediterranean diet. Whilst nuts are generally high in fat most of the fat from them is not saturated. Healthy nuts, such as almonds, pistachios, pecans, hazelnuts and walnuts, contain high amounts of unsaturated fat — or “good” fats — which help lower total cholesterol levels. Even peanuts, which sometimes enjoy a bad reputation, also contain high amounts of unsaturated fat and lower amounts of saturated fat However caution needs to be observed because nuts are high in calories. They should not be eaten in large amounts and a handful a day is quite sufficient. Also to optimize the health benefits only raw nuts should be eaten. Avoid heavily salted or sugar/honey coated nuts. (c) Grains used are normally whole grain which contains very little trans fats and bread is an important part of the diet in the region. A significant difference to other parts of the world is that in this region bread is eaten plain or dipped in olive oil. 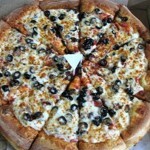 It is not eaten with butter or margarine, which contain the unhealthy saturated or trans fats. People who live in the region use olive oil as the primary source of fat. This oil contains monounsaturated fat which is a healthy type of a type of fat that can help reduce “bad” cholesterol levels when it is used instead of saturated or trans fats. However the types of olive oils that are used are those not subject to much processing before being bottled these being the extra-virgin and virgin varieties which contain high levels of healthy antioxidants. Other oils containing monounsaturated fats and polyunsaturated fats, notably canola oil and some nuts, are also used as these contain omega-3 fatty acids which have great health benefits. Eating too much red meats and processed meats, which are often high in saturated fat and cholesterol, has for many years been seen by health professionals as unhealthy, especially for the heart. High levels of “bad” cholesterol caused by eating large amounts of this increases the risk of heart disease. If needed in an eating plan lean meat should be chosen and eaten in small portions only occasionally with other meats such as bacon and sausages being completely avoided because of the high unsaturated fat levels in them. The best healthy substitutes for meats are fish and poultry which rate highly in the Mediterranean diet. Fish is an important part of the Mediterranean diet. Fish such as salmon, tuna, mackerel herring and sardines are high in omega-3 fatty acids which research has shown provides protection against heart disease. To maximize the health benefits fish should be preferably grilled rather than fried and be seasoned with nourishing herbs and spices. Health experts are divided in their opinions as to whether drinking wine is good or bad for your health. However many research studies have shown that a moderate consumption of alcohol has good health benefits. In particular red wine, drank in moderation, has been thought for many years to be good for the heart. The alcohol and certain antioxidant substances in red wine may help prevent heart disease by increasing levels of “good” cholesterol and protecting against artery damage. The traditional Mediterranean diet often involves people drinking a small glass of wine each day with their meals. There is continuing research that shows that the Mediterranean diet, which is based upon healthy foods and physical activity, is the recipe for a long, healthy life. It is a highly nutritious, enjoyable healthy lifestyle diet solution that is easy to follow, very flexible, and best of all – great for your health. No need for you to go to the Mediterranean to benefit from such a diet as all the ingredients are readily available for you in your local supermarket! It is true that everyone gets excited about a lot of things, but seldom have I ever met anyone who is overjoyed at being overweight. I have however, come across many people who are sick and tired of the up and down roller coaster of so-called ‘healthy’ meal plans to shed weight. Unfortunately, rather than dealing with more dieting disappointments, a lot of these people come to the conclusion that they are fated to being ‘larger’ than normal. To accept defeat in this way and deciding to spend the rest of their days (unhappily) overweight is NO WAY TO LIVE! Making such a decision can make you lose your self-esteem completely as well as shortening your life span. Let’s face it you owe it to yourself and your loved ones to reassess the lifestyle you have led to make yourself so unhealthy and if it is due to unhealthy eating habits to find out what not to eat to lose weight. Realistically there is no magic formula to ‘lose weight‘ – if there were, everybody would be slim. As the saying goes ‘ You are what you eat’ and therefore it is most important that if you want to be successful in losing weight you must take stock of what you are eating and know what not to eat to lose weight. 1. Say NO to Processed Foods! In this busy world where many people don’t want to spend lots of time preparing healthy nutritious meals they often choose processed foods instead which are cheap, convenient and easy to prepare. Unfortunately, processed foods are bad for your health. You wouldn’t think so by watching those hundreds of hyped up television ads you see each day. As processed foods manufacturers are most unlikely to give you the truth on the ingredients they use in processed foods, I’ll give you some facts that they wouldn’t want you to know about. To start with let us look at trans fat. Trans fats seemed like such a good thing once, enhancing the flavor, texture, and shelf life of many processed foods — from cookies to frozen pizza. Unfortunately, they come with a health risk. Trans fatty foods tantalize your taste buds, then travel through your digestive system to your arteries, where they turn to sludge. This food ingredient lowers good cholesterol, raises bad cholesterol, and can increase your risk of getting cardiovascular disease. As heart disease is rated as one of the leading killers of men and women, trans fat is one ingredient you want to completely avoid. Wondering where that double chin came from? The high fructose corn syrup used in some of your favorite processed foods could be partially to blame. There has been a lot of publicity about that ingredient recently as it is believed to be a major factor in the ever increasing levels of obesity. As for the chemicals manufacturers use in processed foods. If I even tried to name some of these chemicals, I’d be tongue tied for days. You would also probably think I was reading the label on a can of insect spray instead of the ingredients used in your favourite microwave meal! 2. Say NO to Sugar! Let’s have a look at some statistics. These days the average person eats about 150 pounds of sugar a year. Considering that sugar is just about in almost everything you eat, you can easily be eating loads of it without even being aware of it!. So what’s the problem? There aren’t enough hours in the day for me to tell you about all the damage sugar can do to your health. However, here is a brief summary. There is nothing but empty calories in sugar. When you eat this sweetener, a large chunk of it gets stored in the body as fat. If one of your life’s aims is to slim down, eating loads of sugar laden foods isn’t going to help you. At its worst sugar can also depress the immune system, raise your risk of osteoporosis, contribute to heart disease, feed cancer cells, and make you look weak and infirm. 3. Say NO to Artificial Sweeteners! There is something you should know before you run out to your local food store and stock your fridge with those zero-calorie diet drinks. You should be aware that the artificial sweeteners that are used in diet drinks and other low-calorie products are laboratory created. Yes, you heard me correctly – the ingredients are mixed up in a laboratory resembling something out of a Frankenstein movie! Unfortunately these chemical sweeteners can cause or contribute to a whole range of neuro psychiatric disorders and chronic illnesses such as vertigo, memory loss, Alzheimer’s, mood changes, brain tumours depression, anxiety, migraines, panic attacks, – and the list goes on! Don’t think for one moment that you are going to shed a few pounds using artificial sweeteners! All that these sweeteners do is stimulate your appetite and make you eat even more food. When diet after diet after diet fails to deliver results, it can certainly make you want to give up. However you owe it to yourself and to your family to try to live the healthiest life possible. The main contributors to weight gain are processed foods, sugar and artificial sweeteners. When you take these foods away from your diet, your chances of losing weight are greatly improved. Check out the report link below to get some useful health and wellness tips and also make dieting disappointments a thing of the past and discover what not to eat to lose weight. The information contained in it will give you all the tools you need to produce effective healthy meal plans to enable you to lose weight and live much more healthier. There was a time, several years ago, when I looked at myself in the mirror and thought ‘Gee where is that lean and athletic looking body that I possessed in my 30s?” It was an undeniable fact that I was now obese, having put on over 30 kilos since the days of my youth! I really needed to lose weight as my current flabby stomach and low fitness levels were going to cause me to have major health problems in the future. There was now definitely a need for me to get some useful health tips in order to set up a plan to enable me to regain the lean and healthy body I once possessed. It took me a lot of time to discipline myself to a healthy diet to ensure my body was getting proper nutrition but I knew that I also needed to combine healthy eating habits with regular exercise. In my younger days I used to carry out cardiovascular exercises through running but these days it is confined to brisk walking. I decided to supplement this with resistance training exercises as this helps me burn calories plus at the same time keeping my body lean and strong. If you want to lose weight, resistance based exercises are extremely important as they increase the growth of lean muscle in the body. Why is this important? It is because every pound of muscle you have hastens the rate at which your body burns fat. This is one of the common forms of strength training involving an elastic form of resistance through the body being pulled, squeezed, bent, or stretched naturally during the course of exercise. Resistance based exercises can involve using devices such as weight machines, resistance bands and dumbbells. It can also be achieved by using your own body weight as resistance by doing exercises such as squats, push ups, lunges and pull ups. When you only do cardiovascular exercises such as running or brisk walking, your body’s metabolism slows down once your workout is over. However when you combine this with resistance training, your metabolism stays boosted long after your workout is over—even when you’re relaxing, sitting down in your lounge! While you may still not be convinced that resistance training is important for losing weight, consider this for a moment. If you have two men standing side by side who are the same height and weight, and one of them seems to have a body that is mostly lean muscle while the other man’s body appears to be soft and flabby, the man with the lean muscle will look smaller. For what reason? It is because muscle is compact and takes up far less space in the body than fat does. WEIGHT LOSS CAN BE ACHIEVED WITHOUT GETTING HUGE MUSCLES! Many people dislike the idea of resistance training exercises because they wrongly believe that these will give them huge muscular frames! However most of the people who get bulky muscles either train specifically for this purpose, such as professional bodybuilders or they achieve this through performance-enhancing substances. Resistance based, general strength exercises will NOT make you bulky. All it will do is make you stronger, shapelier and leaner. Very desirable targets don’t you think? • Target your resistance training exercises to three times a week. Don’t over exert yourself. It is important to remember that when strength training, muscles must be given time to recover. You should aim to rest one day between each session. • Be sensible about lifting weights, not too heavy or too light. If you lift weights that are too heavy you can get injured, and weights that are too light won’t be a challenge to your body and you won’t achieve any benefit..
• To derive the maximum benefit use slow, controlled movements rather than rapid movements when you are doing resistance based exercises. The reason for this is that if you lift weights too fast you will use speed instead of strength to get you through your exercise repetitions, which does not produce worthwhile results..
• Also gradually increase the number of times that you lift weights as if you do the same number of repetitions all the time, there is no challenge to your muscles and your progress slows down. Reassess your resistance training program every few weeks to ensure a steady upwards progress in results. Do you want to see your fat really melt away? If so combine your quality resistance training exercises program with a sensible healthy diet and get plenty of cardiovascular exercise. By using these tips you can improve the way you look and feel through weight loss. Check out the following report on the benefits of an effective diet which shows you what I do when I need to lose weight. Click on the link below to see it. You have heard the saying ‘You are what you eat’ and nothing is more truer in this modern day society where obesity is commonplace. 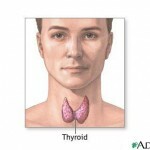 Nobody wants to be overweight and suffer the associated health problems so how can this be avoided? It is common knowledge that if you want to achieve weight loss you should first of all be eating a healthy balanced diet each day. Yes, everyone knows that you also have to exercise as well but diet is of utmost importance when it comes to managing your weight properly. I hope these tips on a ‘healthy balanced diet’ will give you some simple, yet effective means for you to make the proper health changes in the way you eat each day. You should eat some healthy fats in your meals. This is most vital as eating enough healthy fats is important for maintaining proper fat burning and muscle growing hormone levels in the body. Having sufficient healthy fats in the diet also helps to control your appetite. Some of the best healthy sources of dietary fats are avocados,seeds,raw nuts,egg yolks (from free range eggs),coconut oil (a great source of healthy saturated fats ) extra virgin olive oil (which contains the highest antioxidant content of olive oils), and grass-fed meats (which contains a healthy fat source linoleic acid, which can assist in burning body fat and building muscle). Here is a healthy tip for you — get in the habit of eating a handful of raw nuts (walnuts,almonds and pecans are tasty healthy choices) three times a day about half an hour prior to meals. This should help to curb your appetite and give your body some important fiber, protein, and healthy fats. This will also result in you eating less calories overall at mealtimes and getting more nutrition at the same time due to most nuts being high in nutrient density. With each meal and snack that you eat you should also endeavor to eat some high quality protein food. You get get this from organic foods such as grass-fed meats, grass-fed raw dairy ( cheese etc ), and others such as such as beans and nuts which suppress appetite, making control over calories intake easier. When you get ample quality proteins this will also help you to build lean muscle, particularly if you are carrying out regular exercise targeted towards strengthening the body. The combination of protein in the healthy diet with exercise will cause your body’s metabolism to run at a higher rate with more lean muscle which is good for your health. One other benefit of eating sufficient protein at mealtimes is that it helps your body control blood sugar and insulin levels by slowing the breakdown of the carbohydrates that have been eaten. Whilst diet experts differ in their opinions of the benefits of extremely low-carbohydrate diets, I do consider that one of the principal reasons that so many people struggle to lose weight for most of their lives is due to daily eating excessive amounts of processed carbohydrates such as refined grain-based starches and refined sugars. It is far better for your health to eat the natural sugars contained in in whole fruits and berries because the fiber in fruit helps to slow the blood sugar reaction in your body. However avoid fruit juices, which contain mostly sugar and have the fiber removed at the processing stage. I have noted that when people start to cut down their grain consumption (from pasta,cereals,bagels,breads, etc), they find it easier to start to lose body fat. My recommendation is for people to reduce their consumption of grains and instead eat more carbohydrates in the form of fruit and vegetables. People will find that it is much easier to control their weight if they follow those simple steps in a healthy balanced diet. I am confident that with these ‘health and wellness tips‘ you will start to see a leaner body and more energy in no time if you follow the above three tips for eating a smarter,healthy balanced diet. Click on the link below for more helpful tips.